Everyone has their own favorite reasons for going to Festival Mondial du Cirque de Demain. For some it’s the iconic big top and stage, for others it’s the sense of camaraderie among the competitors. For the artists, it is often about fulfilling a dream to make it big and see some contracts materialize. For circus students and journalists in the audience, it is about seeing what is happening today in circus, where the innovators are, and what the current height of achievement is, pairing technical skill with creative exploration. 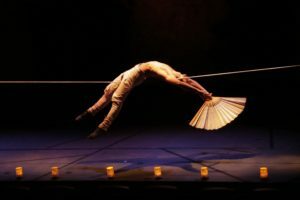 In 2019, Cirque de Demain is celebrating its 40th anniversary, and we came up with seven reasons for you to tune in to what is happening in Paris from January 31st to February 3rd. The best way to see Cirque de Demain is live under the magnificent Cirque Phenix big top off of a dusty lot in Paris. The ample stage and stunning lighting makes first time competitors swoon and the audience is immersed in the glamor. But if you can’t swing over to Paris this January, there are other options. This year, Saturday night of the competition is broadcast in its entirety live on Arte.tv. In addition to that coverage, CircusTalk offers extensive behind the scenes looks at the festival with our Day in the Circus Life Instagram Takeover of Spectacles A & B, as well as live streaming Spectacle Laureate on Facebook, and tweeting of Club PRO events throughout the proceedings. Combining these media options is a great way to stay abreast of the festival as it unfolds. It’s the 40th anniversary of the Festival–which began in 1977 as an offshoot of La Piste (a show that started in 1927 to assist retired and injured circus performers). Isabelle and Dominique Mauclair had the vision to offer young up and coming artists and opportunity to showcase their talents to an international jury. The Festival moved house several times to iconic venues until finally finding its home at Cirque Phenix’s big top in 2007. This year, there are likely to be a few surprises to celebrate the 40th anniversary! There will be a release of an illustrated book about the history of the Festival titled A Vessel of Joy by Florence Douroux, which should be available at the event. “It gives voice to the artists and professionals who have graced the stage of the Festival over the last decade, ” says Douroux. Confirmed guest performers include Chih-Hin Chao (38th Fest Gold Medalist), Aimé Morales (35th Fest Gold Medalist), Dima Shine (28th Fest Gold Medalist), and Enkhtsetseg Lodi (6th Fest Gold Medalist). 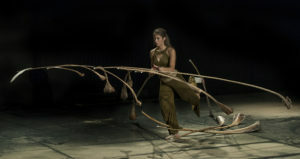 A group of female acrobats called the Projet.PDF will be the opening show of the Festival, and the Wise Fools Trio (the firsts participants in Demain’s Volunteers and silver medal winners at the 36th Festival) will perform on Thursday the 31st. The jury line up promises critical and credible circus analysis and sets the standard for what constitutes gold, silver and bronze winners as well as a whole host of special prizes, including the coveted ‘audience prize’. Although the jury list has yet to be announced, the jury is always an impressive ‘who’s who’ of the current world of directors and casting directors, as evidenced by last year’s jury which included such circus luminaries as Pavel Kotov, the head of casting at Cirque du Soleil, Valérie Fratellini, the director of education at Fratellini Academy and Didier Hamann, the general director at Dragone. 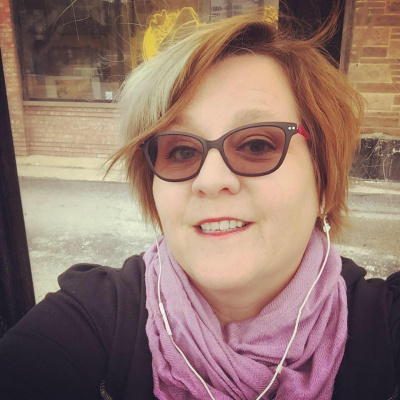 As Karin McKie highlighted in her article about Club Pro, there will be plenty of opportunities to connect with circus professionals through the Club Pro hosted workshops and talks this year. 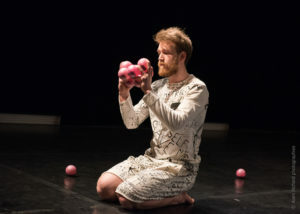 Some highlights include covering the first year’s work of the Demain’s Volunteers, a social circus project, presented by the Wise Fools trio who visited ZipZap Circus in South Africa, which Kirsty Bell recently covered in her article. 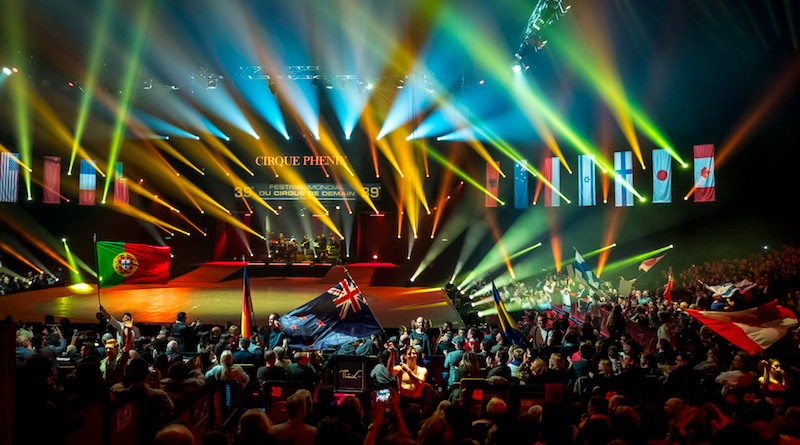 All of the circus world shows up for this big event: directors, agents, producers, fans, circus media, former competitors, and even the staff and students of the European professional circus schools. Opportunities to see and be seen do not get much better than this if you are in the business and the likelihood of meeting your circus idol or patron is high. Speaking of the main hall, while investigating booths and socializing, you are likely to come across familiar faces representing old circus families such as Nikulin Moscow Circus, Roncalli and some famous cabarets like the Moulin Rouge, Lido de Paris, and Gop Varieté Theater. In the lobby of the main tent is the Club Pro Headquarters desk for members to address any questions, a comfortable lounge area for members to socialize, a bar and snack area, and of course some booths for merchandise and associations, federations, circus schools and circus suppliers, affording many opportunities to mingle with a glass of wine and do a little browsing. This year professional schools such as DOCH and CNAC, Codarts, ENACR, Academy Fratellini and others will present their schools along with circus associations and federations such as FEDEC and Caravan. Whether you are a circus fan, an emerging artist or a seasoned director, discovering what the Festival has to offer to the circus community is part of the adventure, so enjoy this glamorous circus event by showing up or tuning in. All photos courtesy of Cirque de Demain. Feature photo of Ellie Rossi.